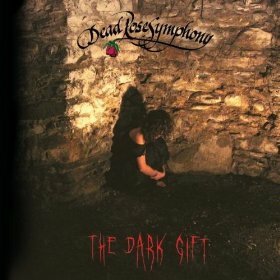 Dead Rose Symphony is the most intriguing band I’ve ever reviewed for “Music to Haunt By.” Their unique blend of spooky ambiance and rock music is fantastic to listen to, but admittedly doesn’t always fit in with the standard haunted house. But, given how their music was not originally intended for such a purpose, they should not be faulted on that. While it is possibly to use several tracks in a regular haunted house, you might want to maximize track usage by taking a page from Whodini and doing a “Haunted House of Rock.” Using rock music to scare people is not as crazy as it may sound. In fact, our very own Atomic Mystery Monster once participated in a two part thread devoted to the use of rock music in haunted houses. Truth be told, I think Daemonia’s take on the Suspiria theme song is creepier than the original and is greatly aided by it’s increased rock focus! In the following review, I’ll be noting what tracks are best suited for use in a standard haunted house and which should be used in a haunted house of rock. As writing the phrase “haunted house of rock” can get tedious, I will sometimes opt not to use it and let the readers figure out which tracks best suit that theme by seeing whether or not I mention the use of guitars in my commentary. As if that wasn’t enough, their liner notes contain a spooky poem and invite to join a quest on their website! “Uvertura” has a symphony-style opening (of course), complete with the tapping of a conductor. But once said conductor is heard, things take a turn for the dark and creepy. The occasional percussion is a nice touch and the piano work is excellent. There’s mournful tone to it, and then the guitars kick in. It returns to (ab)normal when tolling bells kick in…or does it? In any case, it rocks ’til the end. The sounds of crickets and footsteps usher us into “Behind the Door,” which is followed by smashing sounds. A door opens and closes, and this speeds up and repeats into tune then guitars and piano appear. It’s eerier than you’d think and is somewhat similar to the Halloween theme at one point. If your haunted house of rock starts off with a “door room,” this track would work nicely. “I’m in the House” features eerie piano work and effects and is just barely long enough to work as a loop in any spooky scene. In “Can You Find Me?,” a forceful (but soft) piano and violin form a mysterious, almost sneaking in feel, tune. Then the guitars rev up to bring in spooky female vocals and tolling bells. “Young Steven’s Waltz” features variations on a theme by Vincent Furnier (aka Alice Cooper). You can hear the winding up of a music box, then its plinking tune coupled with a violin (along with whistling and a ghostly child’s laughter). It’s perfect for a haunted nursery, playroom or other kid-themed haunt scene. The piano and violin work in “Meu Mort Trandifir” is beautiful, but also gets scary. Soft rockin’ guitars join in and just when you think it’s about to end, it returns with a vengeance. In “The Whitechapel Killings,” we hear drizzling rain and footsteps in a storm as Jack the Ripper approaches a prostitute. “Old” sounding spooky music follows with a hint of rock, which grows in intensity. The pounding beat seems to represent the Ripper stalking/approaching his victims. “Come in Robert” features an eerie opening followed by piano. A violin adds to the effect created by the steady, pounding piano. “The Pendulum” starts with the sound of a swinging pendulum (naturally) then piano and other instruments join, including militaristic drums and guitars. As you can guess, this would go well with a rockin’ pendulum scene in a torture chamber. “Whiplash” features a beautiful harpsichord opening and piano, but a cracking whip sound quickly changes things to fast and furious pace. A very soft heartbeat-like sound opens “Dungeon,” which leads to a man wondering where he is among spooky ambiance effects. “My Lost Soul” features a great piano intro, which picks up pace a bit and gets creepier as it goes along. Drum beats bring in the rock, with great guitar work as always. The next track is the first of three movements, all under the banner of “Masquerade Ball.” First up is “Mov I – The Waltz,” which kicks off with the sounds of guests going to the front door to a party on a stormy night. Heavy drums start the waltz, which is vaguely like the Puppet Master theme at some points and goes kinda crazy at other, not that I’m complaining. The sounds of clapping and instruments tuning close everything. A cracking whip kicks off “Mov II – Bacchanalia,” a jaunty Italian ditty that turns into a dark, rocking tune with plenty of evil laughter and debauchery. The ball ends with “Mov III – The Unmasking,” a rocking, waltz-style track. It’s not a bad choice for a haunted house of rock’s haunted ballroom scene. According to the liner notes, “The Abduction” take place immediately after the final track of their first album, with Morgan getting kidnapped from the ball. Soft bells open, followed by dark piano work and the occasional tolling bells. Percussion kicks in as things pick up, with the guitars entering with thunder before the light, mournful piano. “The Cell” features dripping water and touches of piano representing Morgan’s thoughts of sadness and fear. Naturally, there’s a rock section, which makes this perfect for a haunted house of rock’s dungeon scene. “Morgan’s Theme” uses piano strains to represent Morgan’s mysterious background as a thief, with an Irish flute representing her youth. Tolling bells and spooky rock go well with the acoustic guitar used to convey how she has a tragic past, but is a survivor nonetheless. The piano work of “Solitude” definitely helps this track live up to its name and has a great eerie feel. Its lack of guitars make it suitable for any haunt scene, rock or otherwise. “The Creeper” is a German torturer sent to extract secrets from Morgan. Amazingly, accordion use is far from comical and the whistling is a sinister touch while he works. The guitars return here and a violin joins them. I could actually see this working in a haunt scene based on the old story of Dunderbeck the sausage maker. In “The Questioning,” pizzicato strings represent the questioners interrogating their prisoner. I’d say more, but I’m trying to do my own take on things so buyers get full effect of detailed liner notes. Getting back on topic, the unnerving (but soft) backing music hints at dark motivations while the ever present guitars appear in bursts. The harpsichord is put to good use and the “question noises” can also work as “sneaking” music. “Valinor’s Theme” features masterful piano work with touches of darkness and mystery while “The Plan” uses musical buildup with piano work and touches of guitars as Morgan plots escape. Chains clank at times to create a sense of urgency. The Creeper returns in “The Preparation,” which utilizes plenty of piano work and whistling. Despite its happy tune, the sharpening of knives and running drill imply other things. Playing it in a dark room would be creepy, as would playing it in an area people have to pass through just before they enter a killer cannibal butcher scene. Guitars do their thing in “The Torture” as we hear various effects: chains, drilling, moans and the laughter of the Creeper. The soft piano work of “Nadjinia’s Theme” compliments Valinor’s theme quite well. The flute and strings work nicely, as does the guitar work. Touches of chimes create a somewhat mystic feel. “The Escape” uses piano work and guitars to convey a desperate flight to freedom. To me, the piano is like footsteps while the guitars stand for Morgan’s feeling of danger. We also hear effects like a door opening, crickets and a cawing bird. The low strings and piano work blend with guitars in “The Ring’s Theme” to symbolize both the evil organization and a sense of dangerous pursuit. In “Sanctuary” the fugitive finds a church. The piano work is soft, but hopeful. There is a strong feeling of peace as the piano brings in chanting vocals, guitar work and a pipe organ. The dark piano work of “The Find” means the Creeper has arrived, especially since it imitates his theme somewhat. Drumbeats add to the danger. In “The Fight,” multiple guitars usher in the final battle. Organ work and chanting appear, as do the sounds of things breaking and female yelling. As an added bonus, there’s an interesting take on “Night On Bald Mountain.” In it, thunder ushers in an amazing guitar rock version of this horror standard. As a result, the “lighter” parts in most traditional instrumental takes on it have more scare power, even when the rather upbeat horns appear. A piano also appears and gets solo in the sole peaceful part, but the rolling thunder soon changes that. This is perfect to play for the crowds waiting to get into your haunted house of rock. 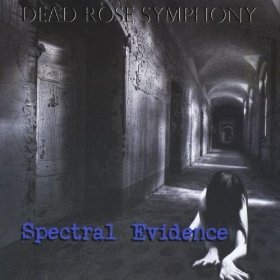 According to the album’s packaging, Spectral Evidence is Dead Rose Symphony’s take on classic horror (film, literature, etc.). Speaking of the packaging, you’d never realize from looking at it that it’s the band’s first CD-R release. The sound quality doesn’t give it away, either! Jon Carlson returns to offer his lead guitar skills on tracks 2, 3, 9, 12, 13 & 15. But enough with the setup, let’s get to the album itself! The beginning of “March of the Dead” features a piano, whistling wind and tolling bells. A mournful violin joins subdued guitars in the background along with militaristic marching drums. It’s suitable for just about any haunted room setup (especially one with a picture of a soldier in it). Spooky organ music and a distant tolling bell start “What Awaits You,” with guitars making their presence known later. There’s definite phantom organist scene potential here. “Walking In Shadows” uses bursts of Jaws-esque piano work coupled with soft, fearful notes and minor guitar work. There’s a definite nervous feel and the sound of footsteps add to the effect. It’s perfect for darkened hallways or mazes. “Ward 5” combines soft piano snippets and a ragged violin with effects like a ticking clock, breathing, coughing and laughing. The subdued guitars and nervous piano work are a great addition. I can see this working in a haunted room scene, asylum hallway or any room with a 13 hour clock. In “Go Away!,” a classic spooky violin stinger joins a piano and guitars with tolling bells and otherworldly notes. There are some Twilight Zone-esque guitars toward the second half. “The Dead See Trolls” uses violins, marching drums and piano work to conjure up a sense of mystery and large things. The use of a spooky (yet somewhat whimsical) organ also makes this work in a spooky clown scene. As the title might have you guess, “The Forest” is perfect for any haunted forest. I love how the sound of crickets ushers in the piano and soft violin work. In “The Rocking Chair,” we hear the creaking of rocking chair, a crying baby and its grandmother (Adrien Swaitkowski) talking with very creepy backing music. This would work wonders with a haunted rocking chair prop, especially if it plays when the chair starts moving. Frantic percussion and piano work are joined by howling guitars and wolves in “Wolf Chase.” There’s a definite feel of running and pursuit, which is aided by the growling and snarling wolf sound effects, along with the sound of padded feet. If your haunted house has a part where patrons are chased through a hallway or forest by a werewolf, you absolutely have to use this track. Soft music gradually fades up in “The Parlour” (sic), along with moaning in the background. Violins soon join in, along with a soft heartbeat. This goes well with tons of spooky scenes or maybe even a funeral parlor scene. “The Worms Are Lurking” has a dark opening with bursts of piano and an odd, almost bubbling-like noise. There’s vortex tunnel potential here, either played while people are in the tunnel or after they leave it. “Mother” has a music box-like opening, followed by piano work, violins and guitars. We also hear an angry, abusive mother (as played by Trish McWhorter) yelling at a child to clean up their toys, along with a nasty finish. I can see this working in a haunted house of rock’s haunted nursery or a scene involving a Psycho-like mother corpse scene. Laughing and scary piano work usher in “Clowns,” which features a twisted version of circus march played on an accordion. Guitars and eerie musical effects join in, and we get a guitar version of march later. Those seeking to use this in a regular haunt’s clown scene can take advantage of the guitars by having a clown comically jamming on either a silly toy guitar or an axe-like guitar that can be used to menace guests. “Back Before Sunrise” uses great piano work and drumbeats, along with spooky string work to form an equally spooky march. There’s also touches of guitar work and a mournful organ. The rumbling thunder and low organ work of “Draci Triada” is good ‘n scary. Tolling bells, mournful tip-toeing piano work and violins work well together. The guitars arrive later the and organ returns with militaristic drums. There’s a great piano solo about nine minutes in, along with sounds like thunder, footsteps in the rain, breathing, and entering a house via creaky door. SLAM! 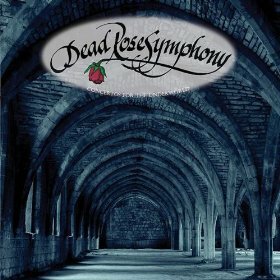 Despite the different from the norm due to their rock style, I highly recommend Dead Rose Symphony’s music for those looking to creep out visitors, be it to your haunted house or to your front door on Halloween. For regular haunters, the album offers both a mix of music to haunt by and great tracks to rock out to while setting things up. I should also note how most tracks on their albums are suitable for looping, with only a few exceptions. Special thanks to McWhorter Records for the review copy!